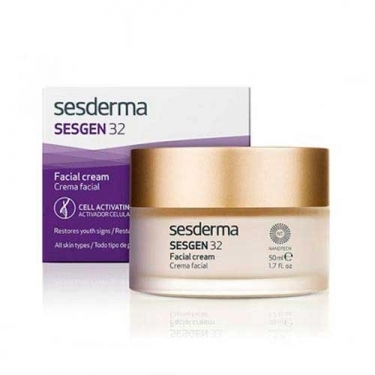 DESCRIPTION: Sesgen 32 Facial Cell Activating Cream from Sesderma is an anti aging care for dry skin. Formulated with encapsulated 32-peptide and Teprenone, it activates the genes responsible for youthful skin, promoting cell renewal and preventing photoaging. The skin becomes nourished, moisturized and firmer. Apply in the morning and evening on clean face.